In August 2017, gravitational waves were detected from the collision of two neutron stars, generating headlines around the world. But how could two ultra-dense neutron stars, the result of cataclysmic supernova blasts, form close enough together to eventually crash into each other? An international team of astronomers have found the likely explanation in the first recorded “ultra-stripped supernova,” a rare, rapidly fading type of supernova proposed by a team of researchers led by Takeshi Moriya at the National Astronomical Observatory of Japan (NAOJ). In their hypothesis, one of two massive stars in a binary system runs out of nuclear fuel, causing its core to collapse and rebound in a supernova explosion. The remnant of the core becomes a city-size neutron star while the doomed star’s outer layers are blown away into space. The neutron star’s extreme gravity then strips away most of the outer layers of its binary star companion. 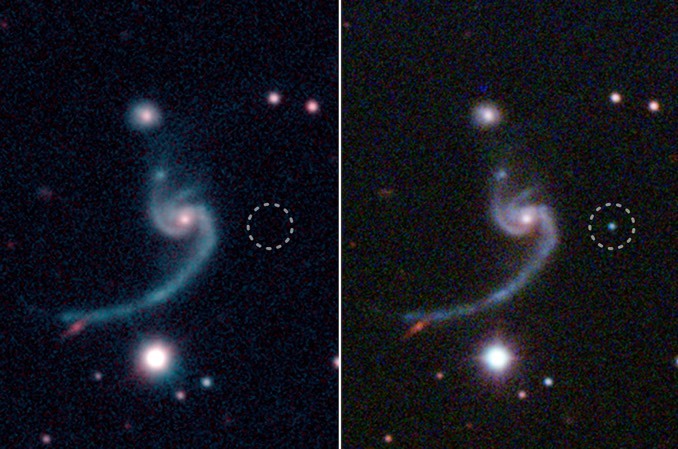 When this “ultra-stripped” star explodes in a second supernova, there is much less material to eject, leaving a stable neutron star binary system in its wake. The second explosion was dubbed an ultra-stripped supernova. Moriya simulated the light curve of such an explosion, predicting the energy released would be smaller than observed in a “normal” supernova and that the brightness would reach a maximum five to 10 days later. The researchers speculated a diffuse cloud of helium might be detected in the aftermath of the explosion. A team of researchers led by Kishaley De, a Ph.D. student at the California Institute of Technology, then searched through archived data collected by the intermediate Palomar Transient Factory and found a supernova catalogued as iPTF14Gqr, which closely matched Moriya’s simulations. It even included the predicted helium envelope. 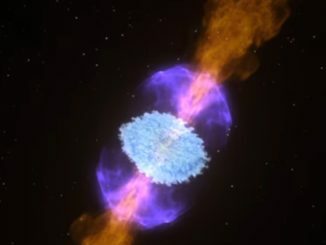 Because the neutron stars in the iPTF 14gqr system are so close together, they eventually will spiral into each other and explode like the two collapsed stars in the 2017 event, producing gravitational and electromagnetic energy. The iPTF survey at the Palomar Observatory was part of a nightly campaign to look for short-lived events like supernovae. The ultra-stripped supernova was detected in the first hours after it exploded in October 2014 and other observatories around the world followed its evolution. A follow-on survey, known as the Zwicky Transient Facility, iPTF’s successor at Palomar, is carrying out an even broader search to look for additional ultra-stripped supernovae, which are thought to make up only about 1 percent of all observed supernova events. 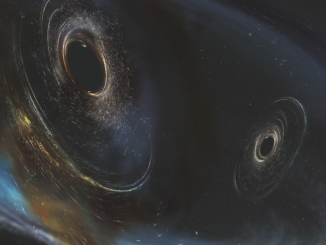 Three billion years ago, in a third of a second, two black holes crashed into each other and merged into a single entity, converting two solar masses into energy that shook the fabric of spacetime, sending gravitational ripples across the universe that were detected on Earth last January, researchers announced Thursday. It is only as recently as 2013 that astrophysicists found individual black holes in globular clusters via rare phenomena in which a companion star donates material to the black hole. 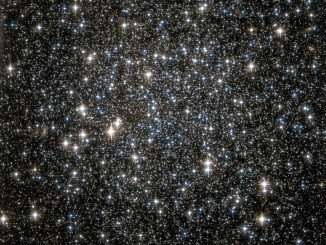 New research by the University of Surrey on a globular cluster known as NGC 6101 shows that it could host several hundred black holes — a phenomenon that until recently was thought impossible.